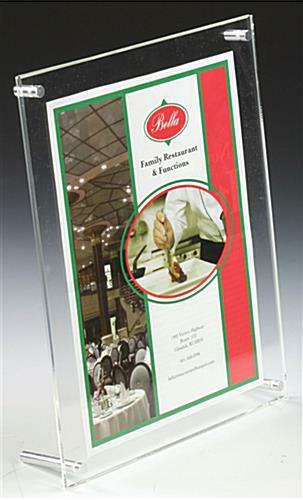 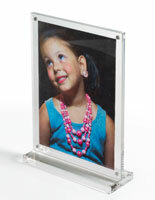 This modern print frame has a completely clear exterior to keep the contents in full view at all times. 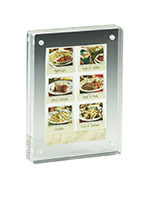 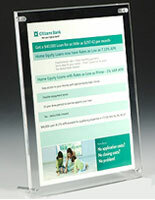 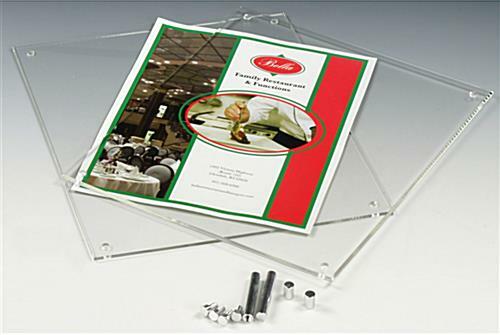 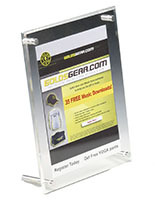 The photo holder is made of 2 acrylic panels with 4 detachable nickel-plated binding screws. 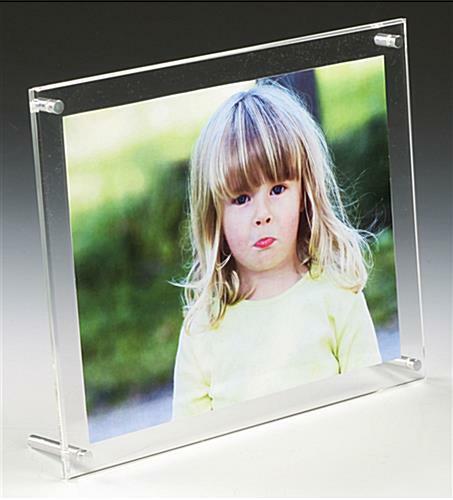 A print frame for 8" x 10" images, also called a picture display, allows users to present the image in a vertical or horizontal format. 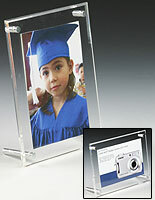 Each photo holder provides a neat appearance that will blend in with most decors. 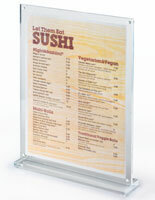 Every frame is suitable for business, office and home use. 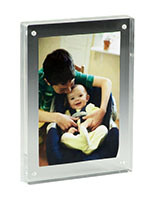 Carefully screw in the bindings for a secure picture display.